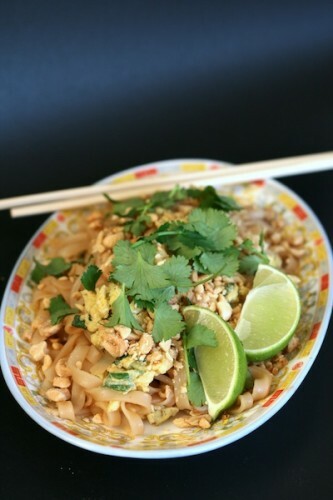 Pad Thai is a Vietnamese dish that uses stir-fried rice noodles, a spicy-sweet-salty-sour sauce, eggs, bean sprouts, cilantro (coriander leaves), and peanuts. This is my bastardized version. Not everyone is lucky enough to have an abundant and well stocked Asian grocery store in their town. Or (in my case) the time to run to a speciality grocery store to get ingredients to satisfy a craving. 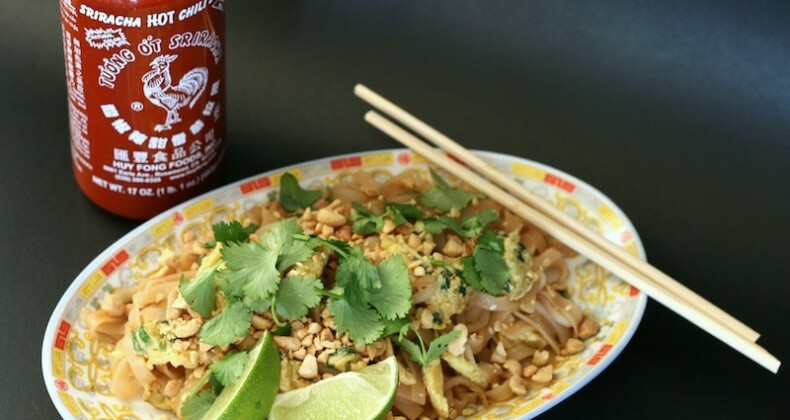 The real-deal Pad Thai uses tamarind paste which I can’t seem to find in the regular grocery store. I had to improv. 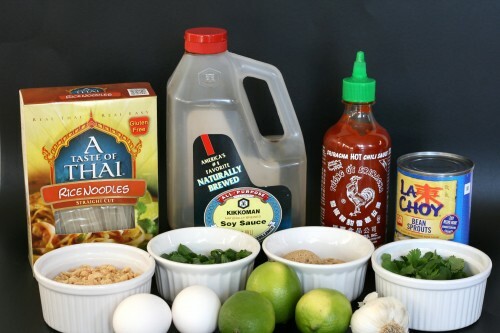 All of the ingredients in this bastardized version of Pad Thai I was easily able to pick up at my local supermarket. Hence the name. 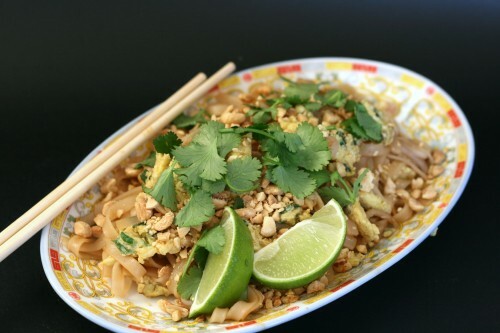 If you’re have a craving for this dish you should be able to satisfy that craving with this Supermarket Pad Thai. A bonus is if you use gluten free soy sauce this entire dinner is gluten free! You could always saute some shrimp, chicken, or tofu to add in, but I like it with just the egg. Garnish this dish with a slice of lime, cilantro, chopped peanuts, or if you’re feeling spicy an extra squeeze of Sriracha. In a small bowl, stir together the brown sugar, lime juice, soy sauce, and Sriracha. Set aside. In a wok or saute pan, heat the oil over medium heat. Add in the green onion and cook for a couple minutes. Stir in the garlic and cook for another 30 seconds. Pour in the eggs, scramble, and cook for about 1 minute. Remove the cooked eggs from the pan and set aside. Turn the heat down to low. Place the drained noodles into the pan. Pour the sauce over the noodles and toss to coat. Pour the eggs in and gently stir until well-combined. Spoon the noodles onto plates. Garnish with some of the chopped peanuts, cilantro, and lime wedges. Enjoy!